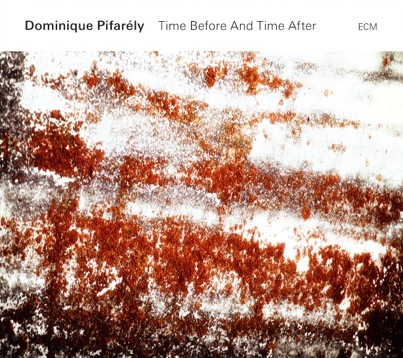 Dominique Pifarély was last heard on ECM a decade ago with Stefano Battaglia on Re : Pasolini, and in the 1990s he co-led a quartet with Louis Sclavis, and recorded in duo with François Couturier. It’s good to have a contemporary account of his creativity with this remarkable solo violin album. Time Before and Time After borrows its title from TS Eliot’s poem “Burnt Norton”, and almost all the pieces in this highly inventive recital are named for poets and poetry, with dedications to Mahmoud Darwish, Fernando Pessoa, André du Bouchet, Henri Michaux, Paul Celan, Juan Gelman, and Bernard Noël. The album concludes with a single jazz standard, Victor Young’s “My Foolish Heart”, incorporating inspired elaboration on a beautiful melody.